On the other hand: is there any reason to watch this after seeing Man on Wire? I was curious to see this one primarily for the 3-D aspects, but it totally vanished from theaters near me after only a couple of weeks. The critical and audience response seemed pretty favorable -- anybody have any ideas on why it came and went so quickly? lmfsilva hit on one of the problems. The film's box office difficulties are discussed here and here. Personally, I didn't want to see it because when the gent showed me the trailer I yelled "NOPE NOPE NOPE" and tried to dig myself into the floor. I haven't seen the movie but by all accounts there's no reason to see this if you've seen Man on Wire except for the sequence of the actual walk. 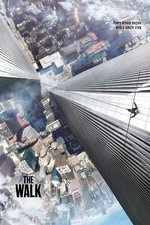 There was no actual filmed footage taken of Petit on the day (there were certainly still photos), and the high-wire segment, especially in 3D, is reportedly absolutely terrifying. I was fortunate enough to see it in the theater in 3D. Definitely visually well done. My hands were very clammy from the tension of the walk sequence. Not entirely sure why it wasn't more popular or in theaters longer, but several people whom I tried to talk into going to it begged off due to vertigo. The characters giving the excuse of wanting to practice for going to America as a reason to have dialogue in English was pretty silly. Saw it in 3d and it was awe inspiring. Not quite as terrifying as I expected because by the time of the walk I had caught Petit's sense of goofy enthusiasm, which was an amazing hat trick on the part of the director and cast.